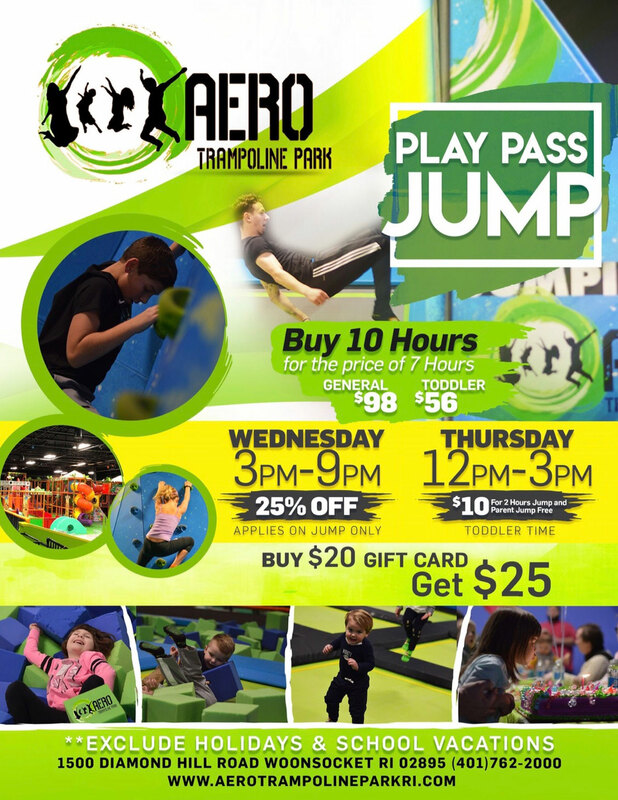 Get ready to have a great time jumping at Aero Trampoline in Rhode Island. Our 40,000 Square ft. facility is located in Rhode Island at 1500 Diamond Hill Road in Woonsocket. At Aero Trampoline in Rhode Island we have activities for all ages! Get your game on at the arcade, or swim around in the foam pit. Be sure to bounce on down to the trampolines and test your balance on the slack line. There's no age limit for fun!